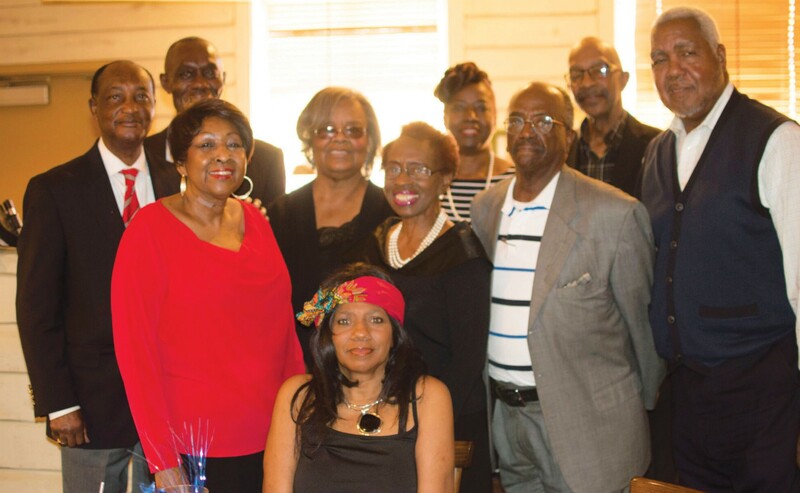 50th Year MLK Tribute Press Party was held last Saturday at Barnes Restaurant to announce R&R Youth and Community Empowerment Organization will commemorate the life of Dr. King through the 50th Year Dr. Martin Luther King, Jr. Commemorative Tribute. The world lost a great leader on April 4, 1968 when an assassin’s bullet took the life of Dr. Martin Luther King, Jr. The shot that killed Dr. King was fired in Memphis, TN, however it was felt throughout the world. On February 4, 2018 all spotlights will be on 100 extraordinary and distinguished Savannah individuals who will be presented the Dream Keepers Award for their outstanding achievements. This tribute will also entail the life-impacting stage play “Trashing the King,” Academic Scholarship Presentations, Celebrity & VIP Reception, Red Carpet Photo Shoot and more. This is a free admission event. to be held at St.. John Baptist Church “The Mighty Fortress”, 522-528 Hartridge St. at 6p.m. “Trashing the King,” a powerful stage play tells the story of the struggles of the Memphis sanitation workers in 1968. Dream Keepers Award Honorees, Dignitaries, Community Leaders, and others were in attendance. R&R Youth and Commuity Empowerment Organization, founded by Ron Williams, was born out of the need to set a national agenda for youth and to bless communities around the nation. For additional information, please contact Kathy L. Jackson, Georgia & South Carolina Regional Chairperson, at (843) 864- 3399/cell or klj_ enterprises@yahoo.com. Interesting, appear sound yes our young people need to be educated in our history and much more!? Very much commented ,in the education of our history , true history always needed for our youth so very much need for the world also recognizing outstanding contributor s to our society and community.